This year, I read 60 books. A nice round total. I read a hodgepodge of all sorts of different things, ranging from literary criticism, fat historical volumes and weighty classics to popular fiction, modern plays and young adult novels, reflecting the fact that I spent most of the year doing an MA in Victorian Literature part time, spend my days teaching English to teenagers and am a member of a book club and record a podcast that require me to read books chosen by other people. In fact, when looking closely at the list of books I’ve read throughout 2018, there are surprisingly few that I actually chose to read, or that were plucked from my existing collection. I buy a phenomenal amount of books, I’ve realised, with excellent intentions, of course – yet probably read only about 10% of the books I read within the year I buy them – only really those that I’ve bought because I’ve got to read them for whatever reason. That means I have shelves and shelves of books that have been sitting there, waiting to be read, for years, and the total of unread books is growing every year. Now I have my own flat and have been reunited with all of my books, most of which have been in storage for some years, the reality of this excess of unread books is surrounding me on a daily basis, taunting me. It is weighing on my conscience, I must say. I don’t have a wardrobe full of unworn clothes, so why bookshelves of unread books? And why do I keep buying more when I already own so many I’ve not read? Obviously it’s the pleasure of being in bookshops, the thrill of the chase, the delight in finding a longed-for edition, an overlooked treasure, the final volume in a long-amassed collection – but, breathless joy aside – the reality is, I need to actually take stock and enjoy what I have. I have made three new year’s resolutions for 2019 – reduce the amount of plastic I use, reduce the amount of stuff I buy, and go swimming twice a week. My book habits fall neatly into the second category. I really don’t need to buy any more books. I have enough unread ones to last me for years as it is. So, this new year is going to be the year of reading what I already have. If I’m desperate to read a new release, I’ll get it from the library. I want to finally read all those classics I’ve been avoiding, as well as the cult classics I pretend I’ve read. I also want to make the time to re-read old favourites. I’m excited about it. It’s going to be great. During the year, I’m going to make a list of all the books I’ve been tempted to buy but haven’t, and then if I still really want them by 2020, I can buy them then. It’ll be interesting to see how many books I thought I wanted weren’t really that necessary to my happiness after all! Well, enough about 2019. What about 2018? Dear Mrs Bird by A J Pierce. Oh, I was so excited about this book. It had a beautiful cover, was about a magazine agony aunt during WWII, and was set in London – it promised to be a delight. 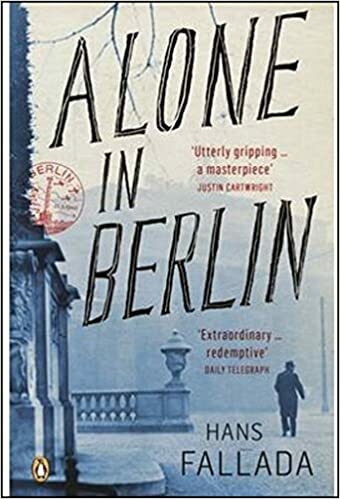 Instead, I found it cloyingly, clumsily written, with an irritatingly fey narrator and a painfully predictable plot that ticked every cliché about WWII. Definitely something I wish I hadn’t wasted my money buying! The Seven Deaths of Evelyn Hardcastle by Stuart Turton. I had so much fun reading this brilliant, complex, thrilling murder mystery with such a unique plot that I couldn’t help but force everyone else I know to read it. I’ve even got one of my classes at school reading it for their holiday homework! If you love a good murder mystery and want to be kept up until 2am because you can’t bear to stop reading, this is definitely a book you want to get to sooner rather than later! Vanity Fair by William Thackeray. Goodness me, it was a slog. But having finished my MA in Victorian Studies in September (whoop! ), I couldn’t in all conscience call myself a semi-expert in the Victorian era if I hadn’t read one of its most famous novels. Plus there was a new TV series of it that I wanted to watch, so I had to read the book first. I did enjoy it, and I am very glad I’ve read it, but I certainly won’t be in a rush to read it again! Definitely Dorothy L Sayers. I love a good vintage crime novel, and I thought Agatha Christie couldn’t possibly be bettered, but then I found Dorothy. I’m never looking back! I love the character of Lord Peter Wimsey, who is much more three dimensional than Poirot, and someone the reader is encouraged to care about and feel a connection to through the way we are given access to his past and to the wider members of his family. I also love Sayers’ prose, which is elegant and stylish, far more so than the more functional writing of Christie. I’ve bought up most of her books and have them waiting on my bookshelves – I can’t wait to read more in 2019! I was dreading teaching Cry, the Beloved Country by Alan Paton to my Year 11 class this year. I didn’t know very much about South Africa and its history, I knew nothing about the author, and the first few chapters I found oddly stilted and confusing. I couldn’t see myself being able to teach it with the enthusiasm and passion I would like. But as I read more, and then studied it with my class, I found myself falling in love with this beautiful, heartfelt novel that is so skilfully and passionately written. It is a true classic: a book that creates characters who will stay with you forever, and that teaches you something profound about the human condition. Most surprising for me was that my students loved it too. Probably because it meant they got to laugh at me getting tearful whenever I talked about particular characters, but…for a book to get through to a group of reluctant readers, it’s got to be something special. If you’ve never read it, I really encourage you to give it a try. Little by Edward Carey. I first discovered this when looking through the list on Amazon of new releases coming up in the months ahead, and though I’d never heard of the author, was fascinated by the premise. A novel about Marie Tussaud’s life in 18th century France, told from her perspective, it is a beautifully written tale of one woman’s indomitable spirit, and also a novel about love, artistry and self-reliance. I loved every page, and I also loved the illustrations. Edward Carey is a very unique literary voice and I’m really looking forward to reading more by him in future. I’m currently reading Alva and Irva, his earlier novel, for Tea or Books?, and probably, if I were to finish before midnight, that would have been my joint favourite book of the year! Thank you so much for reading along with me in 2018 – I wish you all a very Happy New Year! I went for a walk in the woods by my sister’s house this morning. The sky was a bright, brittle white and the air crisp and cold. Tall trunks of bare, rain-blackened trees towered up around us as we squelched through the mud, showers of droplets scattering as we brushed through the bracken and evergreen bushes that encroached onto our path. I love exploring nature in every season, and I’ve walked in these woods many times before, but this time, I was on a special mission. My brother-in-law has recently found out that these woods hide the remains of an enormous stately home that was destroyed after the war, and I was determined to see what had been left behind. Ducking underneath fallen branches and wading through piles of leaf mulch, we left the well-trodden path and headed off-piste. My brother-in-law knew that there were the remains of a swimming pool somewhere, and before long, we found it, complete with its largely intact pool house, still lined with its white ceramic tiles and its roof trimmed with rotting gingerbread fretwork. The pool’s sides were crumbing, and its base clotted with a decades-thick layer of muddy sludge, but the curve of its ends could still be seen, and with eyes half-closed, you could imagine how magnificent this place must once have been: a pool, hidden in a glade in a lush garden, with a fairytale cottage alongside as a changing room…what parties they must have had there, what long, sunny afternoons. Just visible, when we scraped away some of the mud from the pool house floor, was an intricate mosaic pattern; I can’t help but wonder if the base of the pool would have had a similar mosaic design, now hidden by so much vegetation that it would take a team of people with a digger to unearth its treasures. Dotted around this area are bits of walls, and intriguing curved trenches with pipe work poking out that promised an irrigation system for what once must have been a magnificent garden. For, even if you don’t find the ruins, what reveals the former presence of a grand mansion are the plants and trees that are nestled in this rapidly re-wilding wood, plants that could never have arrived here except for having been brought by human design. There is an enormous redwood tree, rhododendron bushes, and a huge variety of different trees that were once planted to create colour and variety in a landscape that was designed to delight and amuse its owners. I don’t know enough about plants to spot the unnatural interlopers from the indigenous species, but my brother-in-law does, and he was showing me all sorts of plants and trees that didn’t belong in the local landscape. Once you spot these, you can start to work out which plants have grown up and smothered the original layout since the garden’s destruction, and how lovely, colourful and full of delicious scent this landscape must have been. It is also rather sobering to see how quickly what has taken decades to create by human hands is utterly obliterated by nature. According to my research, a silk merchant called James Vavasseur bought what was a quite attractive large house and garden in the rural Kentish village of Knockholt in the late nineteenth century, and decided to rebuild it entirely, creating an enormous and incredibly ugly barn of a house with a tower that offered spectacular views of London (the village is the highest point in Kent, and you can see the London skyline, several miles away, on a clear day). The locals thought it was hideous, apparently, and called it Vavasseur’s folly, and photos I’ve been able to find show they weren’t far wrong. Vavasseur and his wife died at the turn of the century, leaving their two maiden daughters to live in the house that was already becoming very difficult to keep up. When the last of the daughters died in 1940, the house was in a bad state, and it was eventually dismantled in 1942, after having been damaged by a bomb during the war. We recently started a staff book club at school, and I’ve enjoyed reading books for it that I either wouldn’t ordinarily have tried, or have been thinking about reading but would have remained on the back burner for years until I finally got around to them. The Silent Companions was chosen for our December book, which is one I’d seen in book shops and thought about trying, as I do love a neo Victorian thriller, so I was pleased to have the push to finally pick it up. It starts with what has become a bit of a tired trope, in my opinion, when it comes to neo Victorian novels: a woman is in an asylum, and she doesn’t remember what happened to her – is she guilty of some heinous crime or has she been wrongfully imprisoned, the victim of a wicked male relative who wants her tidied away? Elsie Bainbridge, as it turns out, has had a pretty shocking time of it; she’s covered in horrific scars from having been burned in a fire, and has lost both her memory and her power of speech. All she knows is that people call her a murderess, and that she has supposedly done something terrible, but she has no idea – and has no desire to remember – what this is. Helpfully a kindly doctor who is more enlightened than the rest decides to try and help Elsie recover her lost memories, and equipping her with a chalk and slate, encourages her to start telling her story. This therefore allows us to go back to the time before the accident, when Elsie, newly widowed after the sudden death of her husband, goes to live at The Bridge, his dilapidated and unsettling ancestral home that has been shut up for some years. Rupert had wanted them to live there together, with the child Elsie is now carrying, but while there to get the house suitably fitted up for his new wife, he dies in his bed, leaving Elsie bereft and determined to carry out his wishes by bringing up his child in the home that he had wanted them to share. However, on arrival at The Bridge, it is clear that there is a good reason why the family have never wanted to live there. The local village is destitute and yet no one will come and work at the house thanks to rumours of mysterious deaths and supernatural happenings. The housekeeper, Mrs Holt, laughs it all off as local superstition, but at night, Elsie hears strange sounds of hissing in the garrets, finds sawdust on the floors, and notices that on Rupert’s corpse, there are splinters. When she forces open the door of the locked garret above her room and finds a creepy lifesize figure of a girl that looks startlingly like a blend of her and her husband, she is terrified, but Rupert’s cousin Sarah, who has come to live with her, loves it and insists on it being taken down into the house as a decoration. Sarah also happens to find, just lying in the garret, the diary of her ancestor Anne Bainbridge, who was alive during the reign of Charles I and rumoured to be a witch, and within its pages they discover that it was she who bought the wooden figures, called ‘companions’, as a conceit to entertain Charles I and Henrietta Maria when they honoured The Bridge with a visit. Soon, however, the one companion they found transforms into many; they start popping up everywhere, and seem to be able to move themselves. Elsie and Sarah become terrified, and convinced that the maids and Mrs Holt are playing tricks on them. Sarah keeps reading the diary, to try and find out more about their origin, and as more is revealed about the history of the Bainbridge family, it becomes more and more obvious why the house is so hated by the locals. Anne Bainbridge was a witch, and her daughter, Hetta, conjured up by magic when she was told she could have no more children naturally, was born a mute, with a deformed tongue. It was this child who loved the companions and had them as her playmates, but, living at a time when a deformity was a source of shame, Hetta was rejected and despised by her father and so carried a hidden well of hatred towards others in her heart. As the companions multiply and start to terrify the maids too, the house seems to be becoming possessed by them and some sort of dark force that Sarah seems to think originated from Anne Bainbridge. But with Mrs Holt, and Elsie’s brother Jolyon insisting on the women being hysterical, and Mrs Holt suggesting that there was nothing wrong with the house before Elsie arrived in it, Elsie’s sanity begins to be questioned. Are the companions real, or are they just a figment of a disturbed imagination? But if Sarah can see them too, and the maids…could there be someone else involved, who perhaps has their own reasons for wanting Elsie gone? There is much more to the plot than this, and various back stories that never quite come together and have the significance I was expecting them to. Elsie and her brother own a match factory, for example, and I was waiting for there to be a connection between the wood and sawdust of the factory and the wood and sawdust of The Bridge, but nothing comes of this. There are also vague murmurings of childhood abuse which again don’t really come to very much – there is a thread of women being dominated and abused by men, but it rumbles along under the surface with such a whimper that I didn’t really see the point in it having been included at all. I did see the ending coming, and it didn’t pack the punch I think the author intended because of it, but it was still quite an interesting twist. Nonetheless there were a lot of unanswered questions and unresolved plot threads, and I didn’t find it half as chilling and creepy as I wanted to, largely because I found the concept of moving wooden figures terrifying people faintly ridiculous. I mean, quite frankly, you’d just leave the house, surely, if you were finding weird moving-eyed figurines jumping on you around every corner?! The plot hinged around people behaving in unrealistic ways and in objects that were hundreds of years old still happening to be conveniently lying around in obvious places, so after a while I was reading just to get to the end, but I was sufficiently intrigued and entertained to want to get there. It’s not a great example of literature – the poor attempt at nineteenth century and seventeenth prose did grate rather – and is certainly not of the standard of the likes of Sarah Waters, who handles this sort of thing with such skill and eloquence – but it’s the kind of undemanding book that is actually perfect for book clubs where you’ve got a range of people with different tastes – it’s good fun, filled with plenty of action, and has plenty of plot points to pull apart in discussion. And according to the amazon reviews, loads of people loved it and were terrified by it, so maybe it was just me who found it a bit of a damp squib! I’d love to hear if anyone else has read it!